With the cameras comes a wealth of paraphernalia and we have to wonder what belongs in the collection and what does not. I often buy a camera and it comes with the camera bag it was kept in. What do I do with the bags? They are certainly not part of my collection. A few I use but most are on my tables at the camera shows for a fraction of what they cost originally.. Camera straps come with the old cameras almost all of the time. They just get in the way when you are displaying cameras so I take them off. But what to do with them? are they part of the collection? Who knows? So far I have just thrown them in a bin. One or two I use when I take my old cameras out to shoot. And then there is the good stuff: flash guns, viewfinders, filters, lens hoods, bellows and extension tubes. This si all good collectible stuff that I consider part of the collection. And of course the instruction manuals I seek out. I have quite a collection of them now. Below I will try to divide these related things into categories and deal with each in turn. Before automation in cameras, they were mechanical machines and required no batteries. Even early cameras with selenium cell light meters did not require batteries. But as more convenience was built in, it had to be powered and so the cameras we love today all use batteries in one form or another. It would be nice if they all used the same battery. Alas, that was not to be. Below is a summary of some cameras and the batteries they require. 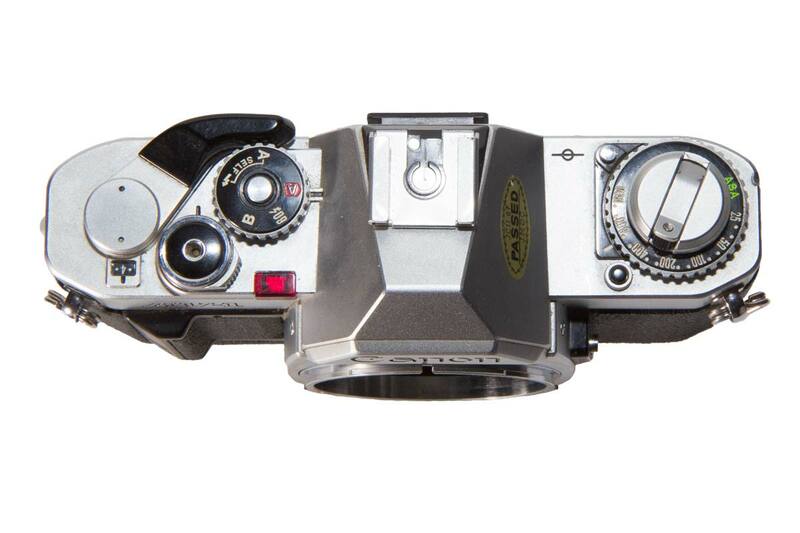 If you're interested in old cameras, "like" us on Facebook . Get news of what we're doing sent to you when we post something new.! 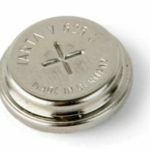 The PX625 was a round button type battery of 1.35 volts. It was a mercuric oxide cell and as such had very stable voltage characteristics over the life of the battery. That made it perfect for CdS photo sensors which required power and which were sensitive to the voltage applied. Unfortunately, the mercury in the discarded batteries was quite toxic and they were banned for ecological reasons. The cameras using these cells may not work correctly without them. Newer batteries all give a voltage of around 1.5 volts which is enough to throw their light meters off. Workarounds exist and the Internet is full of guides and ideas. 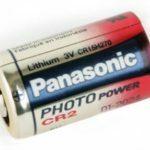 The CR2 is a three volt lithium battery developed for small point and shoot cameras. They are noted for a long shelf life; ten years on average. They can also be found in a rechargeable lithium ion format. The lithium battery has lithium metal or a compound of lithium as the anode. They are noted for their high charge density (long life). 27mm long and 15.6mm in diameter. Lithium battery of 3 to 3.5 volts. 34.5mm high and 17mm in diameter. 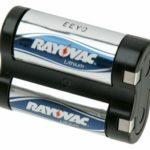 This is a 6 volt lithium battery, actually two batteries side by side in a plastic holder. Commonly used in film and digital cameras. Shaped so that it can be inserted into a battery compartment only one way. Flash Syncronization or simple Flash or even just Sync refers to the means by which the flash is fired to illuminate a scene. We take this for granted in this day of automatic strobes and built in flashes that pop up when they are required. But it was not always so easy. There are types of synchronisation. You didn’t think this would be simple did you? X Sync – This signal will fire the flash or strobe when the shutter is fully open and all of the film is exposed at once. Advanced cameras have an indicator showing the maximum speed at which this occurs. We want this speed to be as high as possible because it is used to control the background ambient light and the higher the speed at which this occurs the more control the photographer has over the light. X stands for Xenon which is one of the inert gases used in strobe flash tubes. When the sync signal is received a high voltage field is applied to the gas in the tube to ionize it which makes it conductive and allows the full flash charge to race through the tube from one end to the other. As the current passes through the tube it excites the gas which produces photons of light for as long as the current flows. This setting is suitable for strobes only as it does not fire in advance of the film being exposed. As a result a flash bulb would likely not reach full light output in time to illuminate the scene and expose the film. S, M and F Sync – these are specific to flash bulbs. The bulbs themselfs have a rating, S, M, or F. The initials simply stand for Slow, Medium and Fast. Unlike a strobe which fires almost instantaneously a flash bulb produces light by burning magnesium wire wool in the bulb. It takes time for the burning to spread and the bulb produce maximum light. So the bulb is fired slightly before the shutter is fully open to give the bulb a chance to catch up. M bulbs were the most common class of bulb and they took 20 to 25 milliseconds to reach full brightness. F bulbs took about 5 milliseconds to come to full brightness and lasted for about 5 milliseconds. These could be used on an F sync setting on some leaf shutter cameras. S or slow burning bulbs took 20 to 30 milliseconds to come to full power but they were generally much more powerful than the other bulbs. They also had a long flash duration of 20 up to 30 milliseconds. FP Sync – is again specifically applied to FP flash bulbs. Some special bulbs were made to burn for a longer time. In this way, they produced light for the full time the focal plane shutter is in motion. In this way the photographer is not constrained by the speed at which the film is fully exposed. At very high speeds the film is exposed by a slit formed by the first and second curtains as they travel together across the focal plane. The long burning bulb produces light through out the time it takes for the shutter opening to cross the film. Again, the signal is given slightly before the shutter begins to travel to give the bulb a chance to get burning. FP bulbs took about 30 to 35milliseconds to come to full brightness and gave reasonably constant illumination for 25 to 30 milliseconds. The PC Socket is a plug on a camera for attaching a flash or strobe. It was invented in the 1950’s by two German’s, Gauthier and Deckel, who were involved in the manufacture of leaf shutters in lenses. The name derives from Prontor/Compur, a shutter manufacturer, who adopted this as a standard connection on its shutters. Eventually it became a world standard connector. Today this connector is seldom seen except on older cameras or modern professional ones. And then we have the hotshoe which is the way most modern cameras sync with an external strobe. Not all modern cameras have a hotshoe. The first F-1 did not have one (it could sync with a strobe but that is another story) . 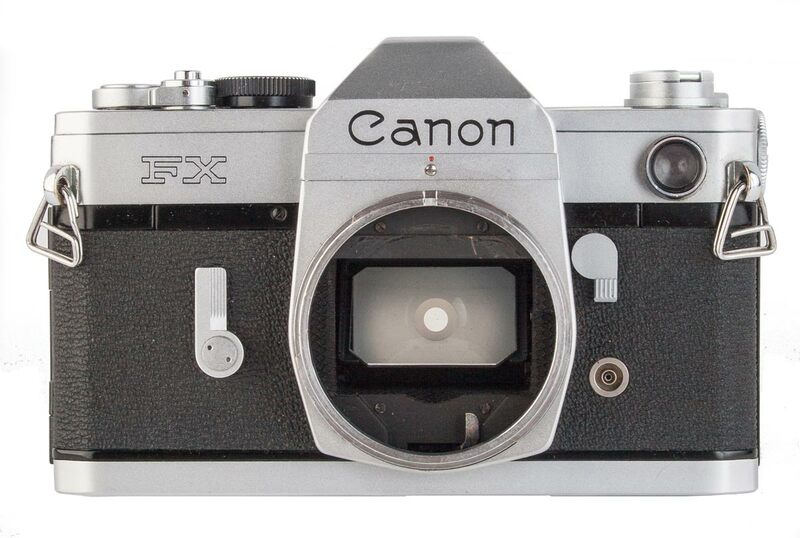 The Canonflex did not have one either. And some cameras had an equipment shoe for mounting a flash that used a PC socket, or a light meter, or an external viewfinder. There is much that needs to attach to a camera that does not require a sync signal. On the right side of the lens mount on this Canon FX, at the bottom of the body, is a round PC socket or connector for the flash sync signal. This AV-1 has a hot shoe on the top of the prism housing. This is the usual place to find it on an SLR Camera. You can see on this Pellix that there are no electrical contacts in the equipment shoe. 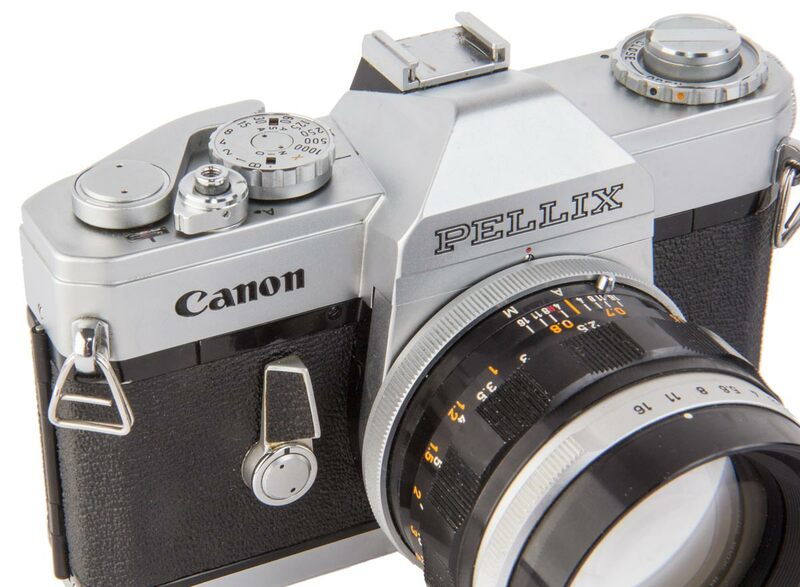 The Pellix has a PC connector on the front of the body. I am not in any way connected to or supported by Canon. I chose their camera line and have stayed with it. I cannot recall why. But a Nikon camera is fine technology and takes a wonderful picture. So too with Sony and the others. But I have been happy with Canon and so I have begun my collection here. One day I may add other brands to my range interest. But that is for another day.